I remember as a teenager walking into an architect’s office with my father to get a set of home remodeling plans. The guy seemed ancient and his office was cluttered with house plans and blueprints. We had come to pick up and pay for a final set of home remodeling plans from him. After spending 30 minutes with the architect and reviewing his work we made the final payment to him and went on our way. This experience reminded me about when to pay for home remodeling plans. 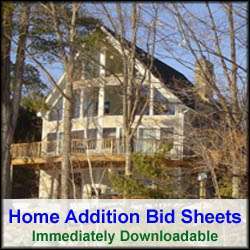 As is typical with most home construction professionals an initial deposit is fairly customary. It shows good faith that you are serious about utilizing the contractor or architect services. However, the deposit should be limited in scope, e.g. no more than 10-15% of the cost of the entire project. To pay more than this amount is putting you at risk of losing leverage with the home construction contractor, or architect, to complete the project or home remodeling plans. As with any business arrangement payment should be provided for work completed. In the case of paying for home remodeling plans it is fully appropriate to have to pay a small deposit to get the architect started, however the full payment should not be provided until you are satisfied with the home remodeling plans. If the home construction project is large, for example a new custom home, then incremental payment milestones for work completed is also a reasonable payment solution. Again, however, make sure that a significant percentage of the final payment is held off until the house plans are complete to your satisfaction. As soon as you lose payment leverage you are then simply relying on hope that the architect will complete the home remodeling plans to your timeframe and satisfaction.